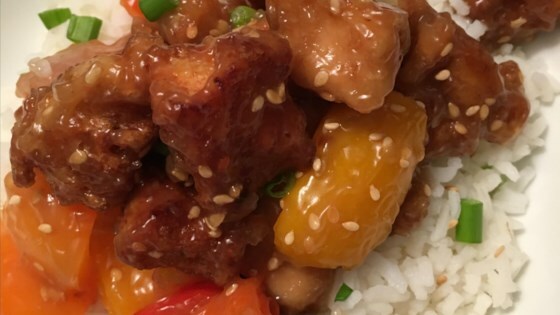 "If you want the perfect sesame chicken recipe this is it! You may want to increase the vinegar or lower the amount of sugar. It all depends on how sweet you want the sauce."